A quick perusal of the history of mathematics and one quickly gets a sense that sub-Saharan Africa has not made any meaningful contributions to modern mathematics. This ‘absence’ gives a distinct impression that there was very little, if any, mathematics practised in the region during pre-colonial times. But this stands against reason; mathematics in the main was developed by stable societies in order to facilitate trade and agriculture. Over the last millennia, sub-Saharan Africa has been home to numerous enduring civilizations, occupying different regions at different times, and engaged in agriculture and trade at varying extents; from the Nok civilizations of West Africa to the Buganda in the East, from the Great Kongo people of central Africa, to the Mutapa Empire in the South; of all these civilizations, could none have practised mathematics in a form that can be understood today? With these and many other considerations, I set about investigating the history of mathematics in Africa. Here is some of what I found. Along the boarders of modern day D.R. Congo and Uganda lies one of the furthest sources of the Nile River, Lake Edward. Approximately 25,000 years ago, a small community settled on its shores, and engaged in a myriad of activities from farming to hunting, to fishing and gathering. The settlement was subsequently destroyed by a volcanic eruption, after existing for only a few hundred years. In the early fifties, a Belgian archaeologist, Prof. J. de Heinzelin, discovered their remains while excavating the area. The location of the discovery has since been named Ishango, after the people who lived there. 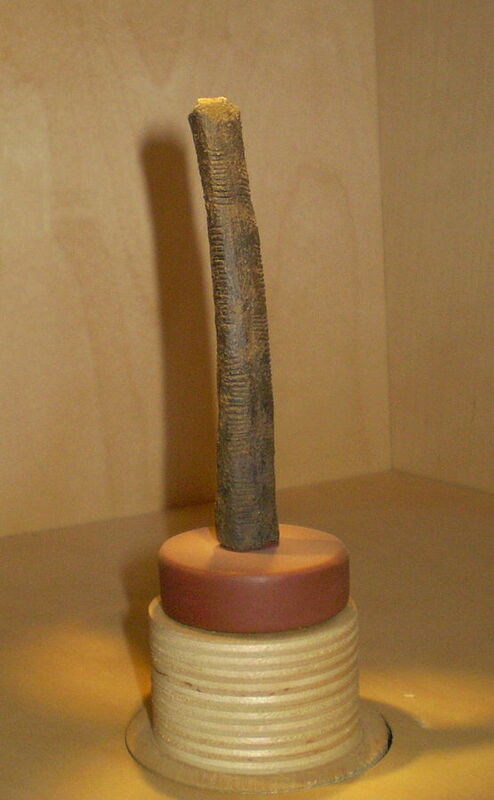 Among the ruins, was found what is believed to be the oldest mathematical artefact to date, the Ishango bone. It is now on permanent exhibition at the Royal Belgian Institute of Natural Sciences in Brussels, Belgium. Evidence suggests that mathematical thought pre-dates the emergence of written language. The earliest example of recorded mathematical symbols (also from sub-Sahara Africa), known as the Lebombo bone, is a sequence of incised marks on a baboon fibula (the outer of the two bones between the knee and the ankle) found in Swaziland, dating back to around 35,000 years ago. On the other hand, the earliest known writings date back to only 6,500 years ago. Whilst there is debate about what exactly the marks represent, it is generally accepted that they are a record of some kind; a tally of any number of possible things, from days in between events to hunting expeditions. The bone discovered by De Heinzelin is interesting because it suggests that the early Ishango people were capable of mathematical thought more sophisticated than mere counting. The Ishango bone is in fact two bones of baboon, with several markings on each’s face. The smaller one has been the subject of greater interest, as its markings signify numbers with identifiable properties and relationships. Column C: 9, 19, 21, 11. In the drawing above the columns are labeled G, M and D, signifying the first letters of the French words Left (Gauche), Middle (Milieu) and Right (Droite). Column A (G) shows groups of 19, 17, 13 and 11 incisions. These are all the prime numbers between 10 and 20 presented in descending order. Column B (M) has groupings of 7, 5, 5, 10, 8, 4, 6 and 3. From the right to left, 3 carvings are doubled to 6; thereafter 4 carvings are doubled to 8; after that the process is reversed and 10 carvings are halved to 5. This sequence suggests multiplication and/or division by 2. Finally, column C (D) has groups of 9, 19, 21 and 11 carvings. This suggests a number system based on 10 since 10 – 1 = 9, 20 -1 = 19, 20 + 1 = 21 and 10 + 1 = 11 respectively. Other observations include the fact that all the numbers on the first and last columns are odd, and that each of these columns adds up to 60 while the middle column adds up to 48. Since these totals are 5 x 12 and 4 x 12 respectively, De Heinzelin suggested that this was a calculator for arithmetic in base 2 and base 10. Simple addition, subtraction and multiplication reveals a plethora of other less imposing relations. As the reader will imagine, the interpretation of what the Ishonga bone signifies is a matter of great debate. Some, like Alexander Marshack have promulgated a popular conservative view, which is that the bone is a six-month lunar calendar. He is supported by others such as Claudia Zaslavsky who argue further and say the bone was a tool for tracking the lunar phase in relation to a menstrual cycle. Judy Robinson, however, contends that Marshack and similar authors over-interpret the data and that there is no substantive evidence to support a lunar calendar. The fundamental motivation of these explanations is that similar bone calendars are in use in many African regions to this day. In addition, as suggested by Peter Rudman and others, the concept of prime numbers could only have come after the concept of division, which he dates back to 10,000 BC, with primes not being understood until only 500 BC. Never the less, many have found these explanations unsatisfactory, primarily because they suggest that the groupings described by the Ishango bone are, for the greater part, fortuitous. While this is not impossible, it is, in this writer’s view, less probable than the alternative. The idea that prime numbers – between 10 and 20 – in order of size no less – could be etched on a piece of bone by sheer chance is incredulous. Can we really accept that blind coincidence would have a sequence of prime numbers, odd and even totals, divisors and their dividends, near-multiples of 10, and many other relations, being debossed on a single artefact, and then that same artefact uncovered thousands of years later by a mathematically mature generation for whom such grouping has considerable meaning? The heart yearns for more. Granted, in the absence of hard evidence it is folly to come to definitive conclusions. But the Ishango bone suggests intelligent thought and deliberate expression; with every possibility that it was one of many such instruments crafted for a similar purpose. What is in question is just what that purpose was. Could it have been a game involving numbers, a sliding calculator perhaps, or a complex tally system of different bases, the conjectures are numerous. 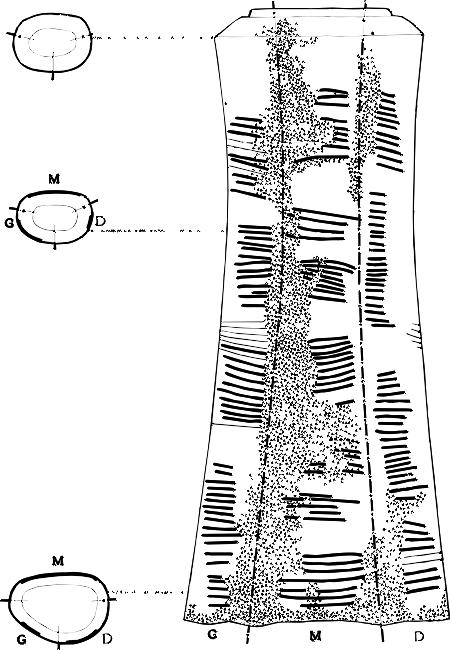 To me the Ishango bone suggests that, by some mechanism, early Sub-Saharan Africans developed a process that identified properties of and relationships between numbers. Perhaps not by applying rigorous cognitive processes – as modern day mathematics demands – but by their own experiences, observations, interpretations and understanding, the Ishango arrived at a place that would take Greek mathematicians many millennia after to discover. We do not know how much geometry the Shona people utilized to construct the elliptical tower and the walls of the Great Enclosure at Great Zimbabwe, yet alas, there they stand, a testimony unto themselves. Wherever the truth about the Ishango bone may lie, one powerful idea remains; the land South of the Sahara may be more than the birthplace of modern man, it may also be the birthplace of modern mathematics. Cheers Tapiwa, this is fascinating and there’s clearly still a lot to be understood about this artifact alone, and presumably there are other pieces of mathematical evidence from Sub-Saharan Africa which would be great to discuss on here. Hi Jonathan, a lot to understand indeed; the fact is any mathematics practiced in the region over 200 years ago can only be studied by proxy because it was implicit and informal. Symmetry, geometry and patterns were clearly part of life as evidenced in African art, architecture and artifacts; but just how much abstraction and logic they developed is quite unclear. I look forward to finding out. Hi Fungi, I am glad you enjoyed the article. I think its important for us to realise that mathematics as a concept is not foreign to Southern and Central Africa. The region developed numbering systems to count things, and eventually conceptualised numbers as things themselves. And like all things, they bear properties and based on those properties, enter into relationships. This is not a small achievement. It is the basis of pure mathematics. Hhola Tupiwa, this an interesting article indeed. I think such articles as this should be shared with our schools so as to also encourage the learners to know that Mathematics is not just a subject but it is part of our lives. Thanks for sharing the knowledge. Hello Mbulelo, thanks for the comment. As African academics, its our responsibility to study such matters as far as possible; and develop a more complete understanding of the role science and mathematics played in days gone by, and more so today. As you rightly point out, maths is not just mental gymnastics, it is an essential tool for understanding and manipulating reality. Those of us interested and involved in education must find ways of presenting and communicating mathematics that allows our learners to own it; that way they will be able to use it for their own advancement and that of the continent. Wow. Great article Tapiwa. It’s not actually difficult to believe that those people had a complex number system and engaged in abstract topics, since the first University in the world is said to have been in Africa, Timbuktu. For some reason people do not want to believe in the capabilities of the past African societies. Egypt has pyramids, which are a very interesting topic among many ,people would rather believe that those pyramids were created by aliens rather than the Africans that lived there. Hi Vizicelo. I am glad you enjoyed reading the article; perhaps as much as I enjoyed researching it Sure, Africa’s abilities and contributions have often been down played. This would not be such a stifling thing if we, Africans, were not ourselves passive participants in this deception. Often we feel that things like science and mathematics are not inherent in us, and that we are perpetual consumers – and never producers – in these domains. But this is a deception we can no longer uphold. If Africa is to succeed in this increasingly ‘science and technology’ driven world we must rewrite the narrative. We are fortunate that the truth is on our side. There is nothing foreign about numbers, mathematics and science; they are in our DNA, history assures us of the fact (1st counting devices, 1st notion of numbers as things, pyramids e.t.c). So let us fully embrace this forgotten identity, the Scientific African, and move our beloved mother land forward. There’s a mistake in the article. 10 – 1 = 9, not 11. A very insightful and well written article. Thanks for sharing this interesting information. I hope you will be sharing more articles like this soon. Hi Michelle, thanks for the compliment. I look forward to sharing more discoveries. Hi Tapiwa, Since evolution tends to think that humans first evolved in Southern Africa, it seems perfectly reasonable that the first mathematics done by people was done there. Russell was also fond of pointing out that his definition of 2 arose on page 250 of his Pricipia mathematica. Finally urge you to publicise the World Community Grid, (worldcommunitygrid.org) a platform which enables people to use their computers to find solutions to numerous diseases which afflict people, not least in Africa. I am delightesd to think that when I don’t use my PC it is calculating away 24/7 working to contain or prevent EBOLA, ZIKA< HIV etc. What we mathematically educated people should be pushing. I'd urge you to expand your article to include the above, unless you can find some fault with it. All the best at UCT. Where I did my M.Sc in maths, 1971 to 1973.